After undergoing a fertility procedure, a 37-year-old woman and her husband are expecting twins. The delivery goes smoothly, but it soon becomes apparent that, while the baby boy appears normal, the baby girl has a heart problem and is cyanotic. 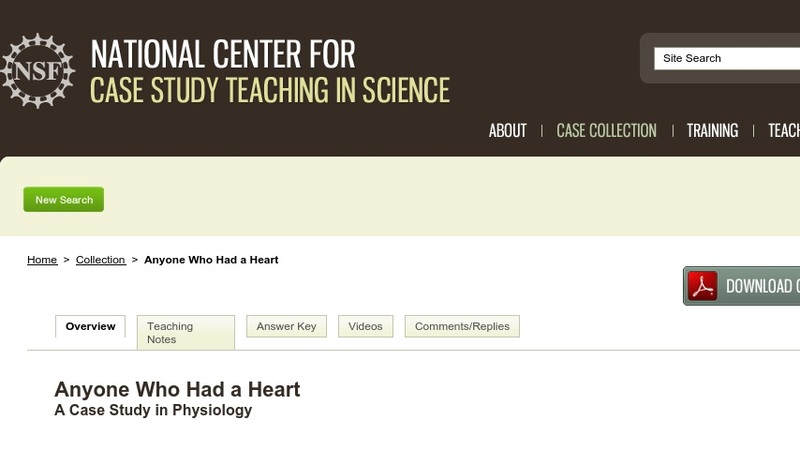 In this interrupted case study, students diagnose the problem based on the babies’ signs and symptoms as well as on their knowledge of the anatomy and physiology of the heart and the changes that occur in the heart after birth. The case was developed for use in a one-semester animal physiology course taken by sophomore and junior science majors. It could also be used in a freshman general biology course or in an anatomy and physiology course.